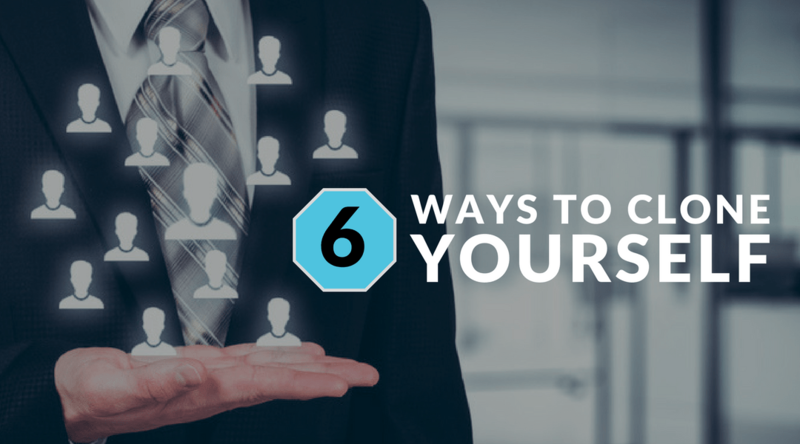 6 Way to Clone Yourself - Organising Works! Maybe you are heavily involved in the day to day runnings of your business, or perhaps you run it from more of a distance, either way, you are most likely the cause of some bottlenecks in your business. You make the final decisions around high-end purchases, who to hire, who to fire and what the goals are for the business. That’s the way it should be; these are high stakes decisions for your business. But what about those important but not as critical more daily decisions? Are you dealing with repetitive questions of a more trivial nature? Chances are there are others in your business that could easily be empowered to make decisions of their own. Having your staff feel accountable and capable creates a more pleasant and productive workplace. Giving authority to make decisions is certainly one way to help motivate your team, however failing to provide decision-making guidelines will eradicate any efforts of empowerment you make. Failing to provide decision-making guidelines will eradicate any efforts of empowerment you make. Micromanaging squashes moral and limits your people’s ability to succeed in their work and have any chance of growth. It also takes away your ability to focus on leading the business to the next level. As hard as it may be, and there will ultimately be mistakes made along the way. As a result, you get to free up time, and your team can get on with their job without interruptions. You may not even be aware of your habitual actions of answering questions day in and day out. Stand back and reflect, catch yourself in the act. Most likely your micromanaging comes from a place of fear of losing control. Remove thoughts such as “It’s quicker to just make the decision myself” and “Things could go bad if one of my team makes the wrong decision”. A change in habit has to stop to ensure that any efforts you put in place have a chance of working. In your absence, what decisions can be made and by who? A decision-making process is also known as Guiding Principles, Operating Principles, Critical Success Factors or Vision statement. Essentially it is a document that incorporates your underlying values and core elements of how you operate. Your core values are the basis for all decisions and actions. Customer Focused – we provide effective services to our community with accountability and a caring attitude. Communication – we promote honest, open communication and easy access to resources. Creativity – we strive for quality through our creative approach and new, innovative and cost-effective strategies. Continuous Improvement – we encourage suggestions, ideas and creative approaches that lead to improvement in all that we do. Setting guidelines and continuing to micromanage will ruin your empowerment efforts. Your team will revert to old habits of going through you for every decision if they feel they are not trusted in their abilities. Once you have communicated your decision-making guidelines to your team, have a real conversation around what is important and on the things that they may need your guidance. Talk about how you would like to be notified of particular decisions and how they can provide feedback on the guidelines. Documenting decision-making guidelines goes part way to giving authority. Truly giving authority means that first, you have established that the team member has the skill and knowledge to make good decisions. Overriding or questioning decisions only serves to waste your empowerment of decision making. Instead, help your staff to make better decisions through training and providing further resources if necessary. Continue to be a role model for good decision making. Continue to be a role model for good decision making. People feel more valued, respected and comfortable if your workplace is positive and friendly. Conflict and finger pointing usually leads to staff not feeling confident in decision making and referring every small thing back to you for fear of reprimand. If a decision didn’t quite go as planned, rather than coming down hard, take a breath and evaluate what went wrong and why. Poor decision making or no decision making happens when your people do not have access to the information and the resources they need. Your team may require further support which may involve feedback from you on their performance or they need to develop some additional skills. Check in with your team on a regular basis and ask them what you can do to make their job easier. Check in with your team on a regular basis and ask them what you can do to make their job easier. Take things easy at first then gradually start to be less and less hands-on once you see the confidence in your team. Once they reach a certain level of competence, you will feel more comfortable allowing your team to make decisions. It’s still important for you to check in now and then and let your team know that they have your support when they need it. So if you are looking for a way to reduce your team’s reliability on you, consider putting together some basic decision-making guidelines and make them visible to the entire team. For help putting in place your decision-making guidelines and other essential processes, get in touch to discuss how your business can run without you and be scalable. Systems Done for You is designed to fast track the systemisation of your business without you doing it all yourself. Book in time to chat.